The Versace Medusa is one of the most iconic motifs around – and it’s about time you added it to your closet. 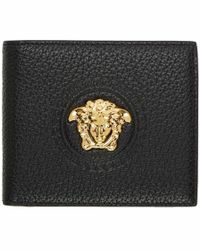 Instantly recognizable, the Versace Medusa collection includes everything from casual daytime pieces to sleek accessories, so there’s an option to suit everyone. Try a Versace Medusa head T shirt for a laid-back weekend look, or choose a pair of sneakers or a backpack for a sporty spin. If you’re feeling flashy, invest in a chunky engraved ring to channel the label’s luxurious Italian style.